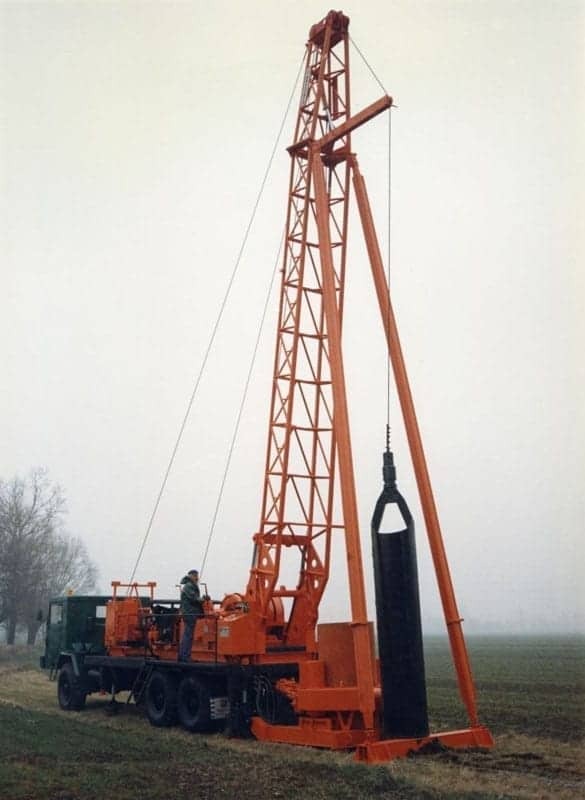 This system is used for medium-large diameter and low-medium depth drilling works. - Chisels, used in compact soils. 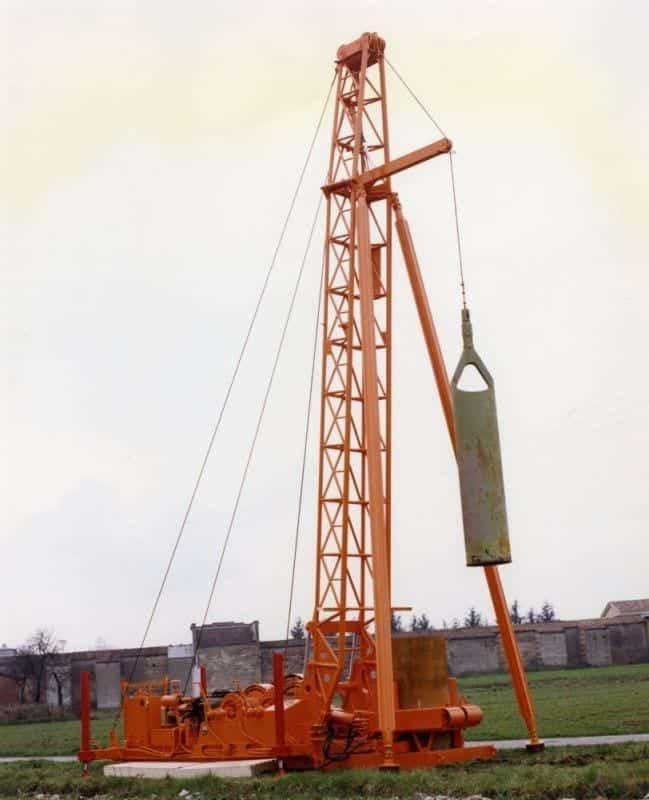 The tool should be connected to the free fall winch through a steel rope and is repeatedly raised and dropped to the bottom of the well. After a suitable advancement of the drilling and at regular intervals, the tool is pulled out from the well and the drilled material removed. If the soil is inconsistent, the hole must be stabilized by introducing temporary or permanent casings. 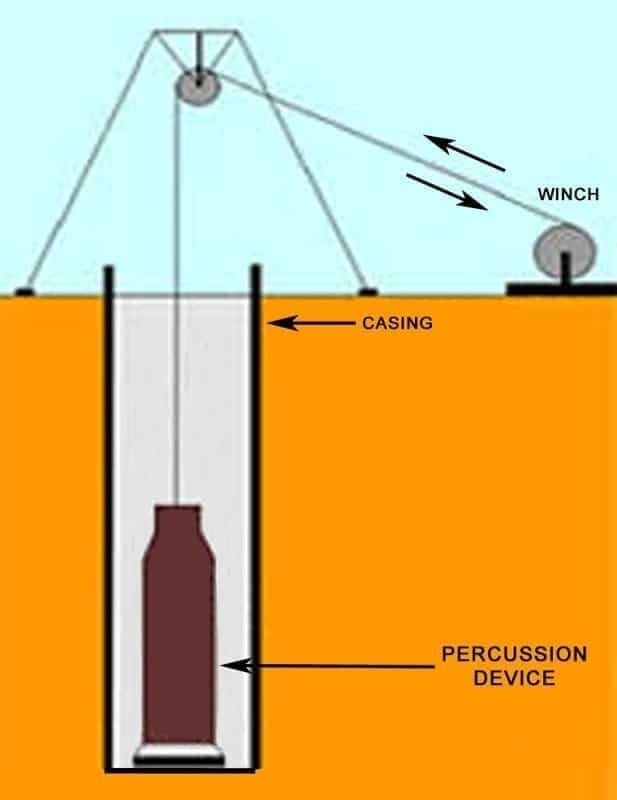 The casing can be advanced by either rotary, direct push or percussive methods. 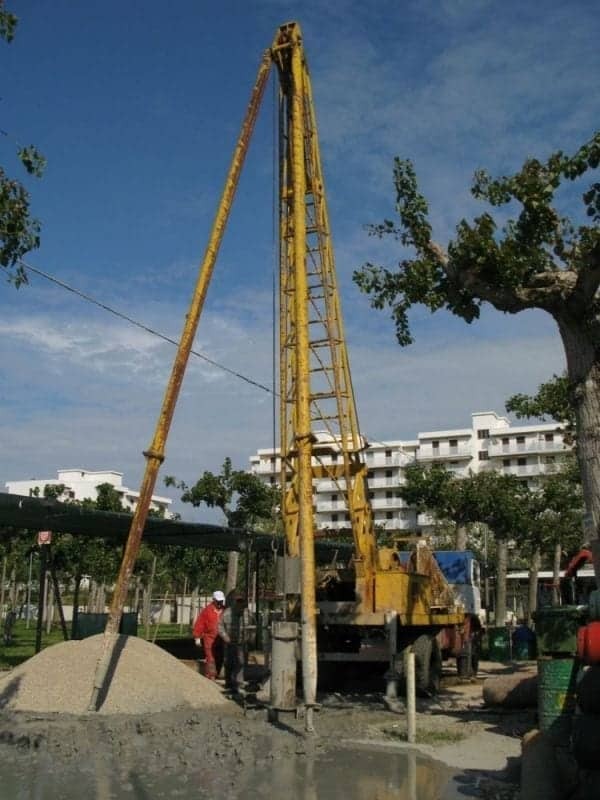 When the fiction between the casing and the ground restricts advancement and risks subsequent recovery, increasing smaller diameter strings of casing can introduced this is referred to as “ telescopic casing”. The casing pipes can be socketed, threaded or welded. Cable percussive technology can be used for all loose alluvial soils, including boulders and cobbles. It can also be used for consistent formations. In this case, however, the speed of advancement is significantly reduced.